You’ve probably heard the word grit mentioned several times in the recent years in the context of raising kids who go on to fulfill their potential. 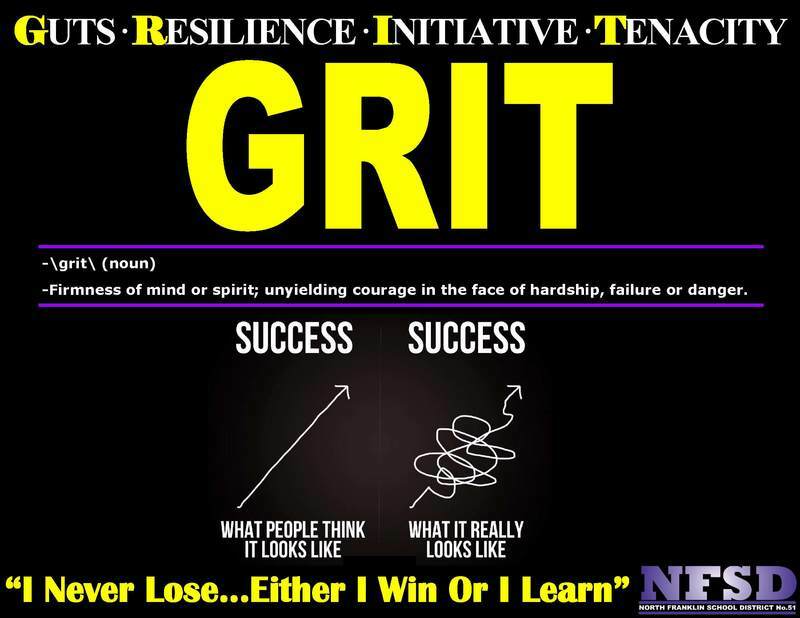 While the word grit may conjure images of Rocky Balboa or Captain America, in the past decade or so it has taken on a whole new meaning that has stolen the attention of parents and educators alike. That’s because according to Angela Duckworth, grit, defined as a “perseverance and passion for long-term goals,” is a better indicator of future earnings and happiness than either IQ or talent. Today’s mounting research on grit suggests that your child’s ability to work hard, endure struggle, fail, and try again may be the key to determining his or her long-term success and happiness. So, what is grit and why does it matter? When we are in pursuit of a lofty goal, we don’t know when or even whether we will succeed……until we do. Grit is a distinct combination of passion, resilience, determination, and focus that allows a person to maintain the discipline and optimism to persevere in their goals even in the face of discomfort, rejection, and a lack of visible progress for years, or even decades. In the Army one of the most elite groups of soldiers are called the Army Rangers. In the final exercise before soldiers were chosen to attend the school, Peter and his fellow soldiers were told to “ruck up” with 35-pound packs and start walking. The instruction was something like, “We’re not going to tell you how far you have to walk or what the cut-off time is, but if you don’t finish under time, you’re going home.” The would-be Rangers started walking, fast. Finally, after hours of walking, the soldiers came to the spot where they had begun. From a distance, it looked like the finish. But as each man approached the sergeant yelled out a time and then said, “Good work. One lap down.” More than one soldier crumbled there, dropping his pack and surrendering his spot in Ranger School. But those who continued walking found that the real finish was just around the corner, a few hundred yards away. “Never quit in a valley,” says Angela Duckworth. Indeed, had those soldiers who quit maintained the fortitude to go on and move past that low-point they would have secured their spots in Ranger School. Our belief systems and how we respond to failure or challenging situations fuel our behavior and predict our success. People with the growth mindset are not discouraged by failure. They don’t actually see themselves as failing in those situations — they see themselves as learning. This is the mindset that allows people to thrive during some of the most challenging times in their lives. It is my desire that together we can work together in cultivating the confidence and optimism in our students that will allow them to power through those low moments and accomplish amazing things.